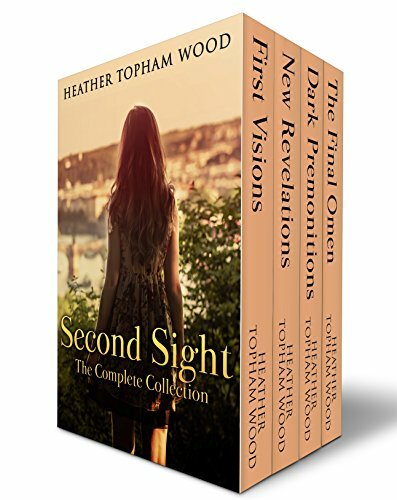 The Second Sight series is now available as a boxed set! Read the entire collection featuring quirky psychic Kate Edwards and the devastatingly handsome Detective Jared Corbett. Now another child has been abducted. Police detective Jared Corbett seeks out Kate for her help in solving the case. With visions she can’t control and an uncontrollable attraction to the detective, she wonders if she can leave the past behind and finally stop hiding from the world. Life should’ve been perfect. Kate Edwards had won the heart of police detective Jared Corbett and was coming to terms with her psychic ability. Things were blissful—until the day she met bad boy psychic extraordinaire Declan Brayden. Psychic Kate Edwards had her first premonition—a vision of her own murder by a faceless attacker. With very few clues to go on, she has to use her psychic gifts to uncover who wants her dead. Paranoia sets in and Kate wonders if there’s anybody she can trust.